Albury is a major regional city in New South Wales, Australia, located on the Hume Highway on the northern side of the Murray River. It is the seat of local government for the council area which also bears the citys name – the City of Albury. Albury has an urban population of 45,627 people. Albury is separated from its twin city in Victoria, Wodonga by the Murray River. Together, the two cities form an urban area with a population of more than 80,000. It is 462 kilometres (287 mi) from the state capital Sydney and 326 kilometres (203 mi) from the Victorian capital Melbourne. 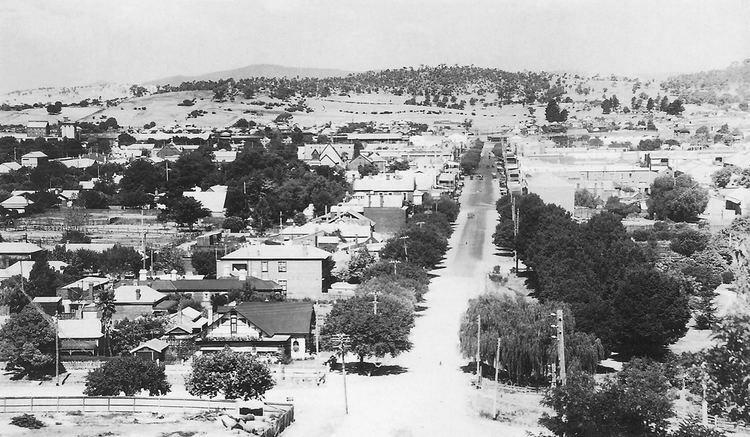 Said to be named after a town in England, Albury developed as a major transport link between the colonies of New South Wales and Victoria and was proclaimed a city in 1946. There are few remainders of the indigenous population of the area, although the Wiradjuri people occupied the area for many thousands of years prior to European settlement. There is little documented about the relationship of Aboriginal people and the early European settlers. The Murray River Performing Group (MRPG) is Alburys main theatre company. It spawned The Flying Fruit Fly Circus in 1979, and these days conducts many productions through the Hothouse Theatre located on Gateway Island between Albury and Wodonga, though still in Victoria rather than New South Wales. 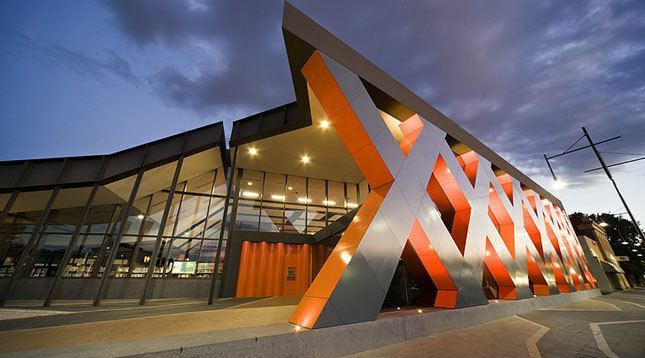 Touring productions often pass through the Albury Entertainment Centre. Albury has a growing local scene of rock music bands and fans. The Youth Cafe is a supporter of local acts providing resources for young musicians and performers to be recognised. The Youth Cafe has been visited by bands such as Thy Art Is Murder, Sienna Skies, Addison and locals Bloodloss Vegas, Radio Shock Therapy, Executor & Chelsea Wont Jump. The Sodens Australia Hotel previously hosted local and touring bands from Australia and overseas. A major youth music event, the Border Music Camp held at Scots School, attracts people from as far as Sydney. Groovin The Moo Music Festival visits every November providing Albury with acts like Hilltop Hoods, Urthboy and Midnight Juggernauts. In 2003, a sister city relationship with Nanping in north western Fujian province, Peoples Republic of China, was formalised.